Cooking with Essential Oils - A Complete Guide to the "Essence of Flavor"
Most people have never cooked with essential oils either due to lack of familiarity, lack of access, or the common repetition by many aromatherapy sources that say not to ingest them. One secret of the food industry is that essential oils are used ubiquitously in packaged foods as a source of extra flavor. Anyone consuming canned, frozen, or even boxed foods is almost assuredly already eating essential oils and a large list of essential oils is approved by the FDA for consumption as safe. While they are potent, and best used with care my personal feeling is that people are missing out on an amazing sensory experience skipping these ingredients in their cooking. To help you venture into the world of essential oils for your home cooked meals I put together a complete guide to cooking with essential oils with the help of Feast Magazine St. Louis. Armed with a little knowledge you can begin to have all kinds of exotic flights of flavor fancy. The story below includes links to 6 recipes I created from scratch for the article to help you make 4 complete courses all devised for maximum aromatic impact. Enjoy, and please let me know if you try them! Essential oils are most commonly associated with candles, fragrances and beauty products. However, the volatile oils produced by plants, their roots and their fruits are the building blocks upon which we create flavor in cooking. We grind herbs in a mortar and pestle when making vinaigrettes to extract the rich oils. We zest lemons and limes for the concentrated flavor found in the oils of their skins. So why don’t most people cook with bottled essential oils? Many oils available on the market aren’t intended for consumption. But seek out those essences made for cooking and you’ll open your kitchen to a whole new world of flavor. Cooking with essential oils is simply another way to season dishes, much like using spices and herbs. But they bring with them a number of benefits. Most notably, the concentration of flavor. Oftentimes just one drop of essential oil is enough to infuse an entire dish with flavor. No picking, peeling, chopping, grinding or grating necessary. The distiller has already done all the work for you by presenting the volatile oils in their straight form. And unlike with dried herbs or ground spices, shelf stability isn’t a concern. 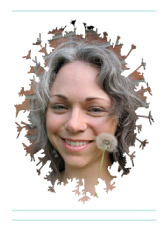 Essential oils are not vulnerable to bacteria and don’t go rancid like vegetable oils might. Some oils can change a bit over time or oxidize, but in general, essential oils keep for years. If the oils are purchased from a reliable source, quality and freshness of flavor are unmatched. 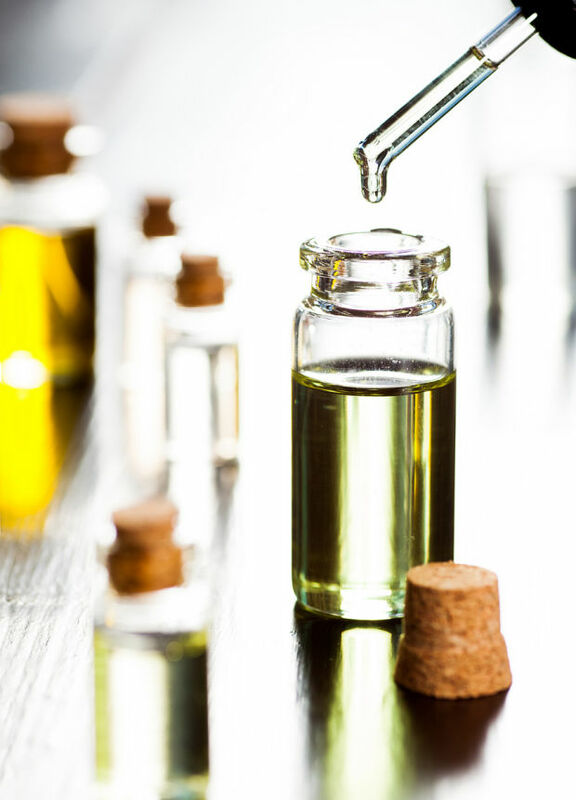 Essential oil suppliers grow specific varieties of plants and use the best growing conditions to maximize the aromas in the plants they harvest. The plants are sent straight to distillation to capture their true profile, and distillers are careful not to compromise the quality of their oils with heat or other factors. In addition, one can access varieties of plants and unusual flavors that are simply not available in other forms. Neroli, for example, is the bitter orange flower. It’s very famous in perfumery and is only available as an oil. Bitter orange flowers are not sold for use, and even if they were, the aroma is so delicate and transient that by the time the blossoms reached you it would have deteriorated. So how do you begin working with these intense and intriguing oils? Start by substituting them for the herbs and spices in your favorite recipes, keeping the following guidelines in mind. Essential oils are oil-based and will dilute well in alcohol, vinegars, oils and fats. These elements need to be present in the recipe you’re using. Foods that are naturally rich in fat, such as dark or rich meats, fatted dairy products and coconut milk, work well. Starchy vegetables, beans, lentils and grains can also distribute the oils well enough if they’re also blended with a little cooking oil. Stews and chunky, thick soups are a good place to start, and dips, pestos and creamy sauces are the perfect testing ground for working with essential oils. Essential oils are quite potent. If following a recipe, you can use the ratio of 1 Tbsp dried herb = 3 Tbsp fresh herb = 1 drop essential oil. If you need to use less than one drop in a recipe, dip a toothpick in the oil and swirl it into the dish. Essential oils can also be diluted with food-grade oils. Create 50 percent, 25 percent or 10 percent dilutions for use in smaller batches of food. If you’re experimenting on your own, start slowly by adding one drop at a time. Taste the dish and adjust the seasoning based on your preference. Essential oils will “flash off.” With extended heat, so using them in cold applications is a wonderful way to get the maximum benefit. Using a small amount in olive oils and vinegars as a final dressing to foods works well. If using them in soups and sauces, add them at the last possible step, when heat exposure is minimal. Baked goods obviously will be exposed to heat, so some loss may occur. Consider increasing the amount of essential oils used in baked items to ensure the final product will still have lots of flavor. Tips are included in the link to Feast's website including a list of good oils to start with and ones to avoid to help guide you through cooking with essential oils. Visit their site to see my list of recommended and favorite oils. And, check out a collection of recipes linked below that feature a variety of essential oils in a number of applications. Each recipe was devised by myself through my 10+ years of experimenting with oils in my herbal studio and home kitchen. Flavor is really my strength and while I may not have all the skills of a gourmet chef I can season a sauce and achieve something that will really please a palate. Several recipes are vegan and numerous are gluten-free for my followers that pursue alternative food lifestyles. 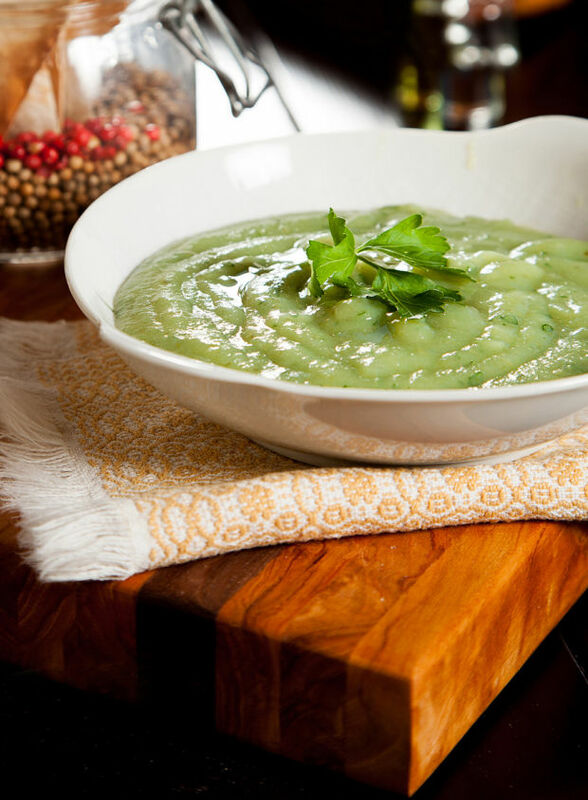 This delectably creamy soup offers a full, savory taste built on a bevy of veggies. Celery root, celery stalks and potato make a satisfying base, while white wine and apple lend a pleasant sweetness in the mouth. Celery leaf extract, parsley and the unusual touch of star anise create an aromatic treat that will have you taking your bowl back for seconds. These crunchy flatbreads don't disappoint. Whole spelt flour creates a healthy base for a subtle but insistent blend of coriander and pink pepper. Horseradish loses its bite in the baking process but provides a full, mellow undertone. Take wings in a sophisticated direction with a smoky, spicy marinade and syrupy molasses and balsamic reduction. The whole dish will have you smacking your lips and licking your fingers for the last drops of the delicately flavored sauce. Jicama sticks soak up the sweet stuff and offer a clean, satisfying crunch between bites of fragrant meat. This tasty vegetable dish is thoroughly infused with the bright flavors of apricot and grapefruit, which contrast nicely with earthy cumin essence and saffron. It's an unexpected combination but an irresistible one. A dairy-free, rosy dessert that cleanses the palate and offers an inviting combination of fruit and precious flowers. Super-simple preparation but a big wow factor for flavor. Altogether a singularly intriguing and elegant dessert experience. 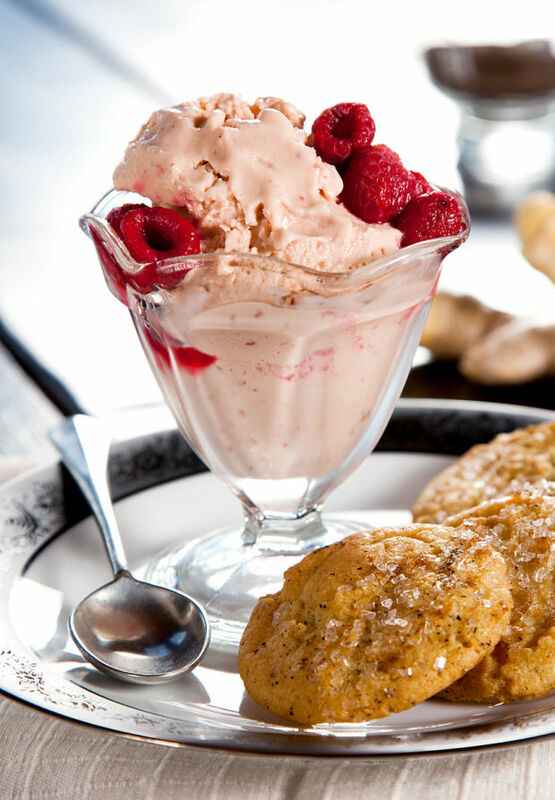 These turbinado sugar-topped cookies offer a crunch that makes a delightful companion to ice cream. The decadent Ginger Aftelier Chef's Essence dominates on the tongue with a hint of rose otto flitting about in the background. This buttery, classy take on a shortbread makes fine friends at a luncheon or tea or as a snack or dessert. Following is a list of essential oils used as food flavorings that are GRAS by the FDA. See the original list including latin names on their site. Questions? Comment and I'll be happy to reply with answers to guide you. Article originally published in the February 2013 issue of Feast Magazine. Story and recipes by Julie Longyear, dishes prepared by Angela Komis. I love essential oils! And I'm looking forward to cooking with them. Do you know how to make homemade extracts from essential oils? I know commercial flavor makers sometimes use essential oils dissolved in alcohol and vegetable glycerin for this purpose but I'm not clear on the proportions yet. Hi Sheryl! Oftentimes people make flavor extracts by simply soaking the original herb materials in alcohol and water. I have several friends that make their own vanilla bean extract this way. I'm sure the recipes differ by company. But you could start with some vodka and just add drops slowly. Then test a low strength dilution, record your recipe, and make adjustments. You don't really need to worry about sweetening, and glycerin will probably just complicate things. All an extract needs to be is flavor in a carrier. I'm seeing sources online stating that a typical extract may be between 2 to 8% essential oil which sounds pretty good to me. Good luck! Thanks for the great information! I'm really into floral flavoring for desserts. Once in Paris I had "Muguet" (lily of the valley) flavor macaron from La Duree and it was an unforgettable experience. And for several years I'm still on a quest for finding the recipe. Do you happen to know whether I can use lily of the valley essential oil in food?